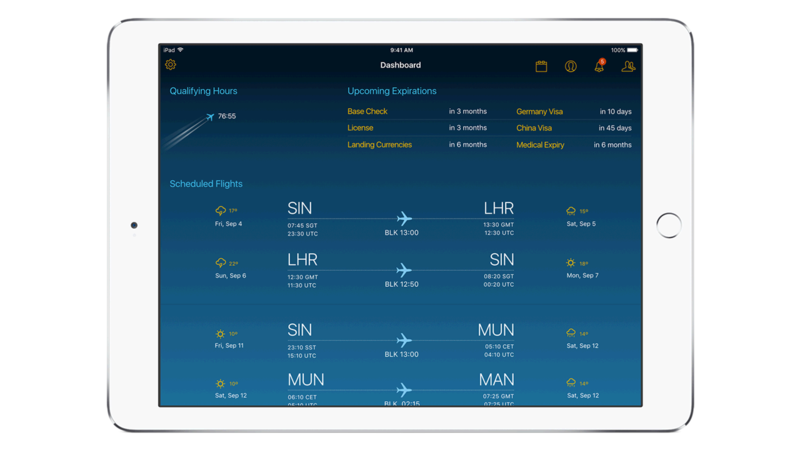 IBM MobileFirst for iOS Flight Roster provides pilots with a single view of all roster-related information, relevant documents and qualification requirements on an iPad. It enables pilots to easily prepare and plan flight missions. The app uses powerful analytics to surface potential issues and offer next best action recommendations. It prioritizes alerts and notifications to help pilots keep pace with changes – and collaboration tools facilitate connections between pilots and co-pilots assigned to the same mission. The app also lets pilots view upcoming routes, airport briefings and required route visa and certification requirements. Pilots can more easily see prioritized notifications and all current roster-related information – like route qualifications, night stops, airport briefings and visa eligibility. Review summary of hours flown, available allowances – and receive both broadcast and personal notifications. The app also allows pilots to use FaceTime with co-pilots and crew-in-charge on rostered routes.